Since 2012, Fabio Faerman has been awarded Fortune International Realty (FIR) #1 Top Producing Broker. He has been a member of the platinum circle since 2005 and has set the standards for the entire commercial real estate division at FIR. With five accomplished years to celebrate, Mr. Faerman and his commercial team start a new phase of growth and success implementing new strategies and more comprehensive technology capabilities. The recognition reaffirms Mr. Faerman innate ability to cleverly adapt to commercial real estate needs. Under Faerman’s leadership, the entire commercial team at FIR is committed to bringing global and multicultural business opportunities to South Florida’s Commercial Real market. “Earning the highest distinction presented to FIR brokers only motivates me to improve myself and my team even more each day, to go for that extra mile always seeking the excellence in order to advise our clients on the best solution for their CRE needs, and bringing successful businesses to the entire South Florida region,” said Fabio Faerman. Edgardo DeFortuna, president and CEO of FIR, presented the award at an elegant ceremony held at the Grand Bay Club in Key Biscayne, FL. Fabio leads the commercial division at Fortune International Realty, equipped with the best human capital, cutting-edge technology, national relationships and local market knowledge. CEO of FA Commercial Advisors and Director of the Commercial Division at Fortune International Realty. Mr. Faerman is also a CCIM member, Commercial Real Estate Investment Advisor, Broker Associate, and for the last five consecutive years he has been awarded as the Nationwide #1 Top producing Broker of Fortune International Realty. Fortune International Realty was founded in 1983 by Edgardo Defortuna. Since then, the company experienced exponential growth to include brokerage activities, property management, financing, new development sales and proprietary developments. What started as a boutique company has now become one of the leading real estate firms in South Florida with 12 local offices as well as 6 inter- national locations. November 13th, 2017 (Miami, FL) Pilo’s Street Tacos will open their first restaurant in Miami at Millecento Brickell. The transaction was brokered by Fabio Faerman who represented both parties. The new Millecento’s tenant is a family inspired taqueria owned by entrepreneur and financial advisor Derek Gonzalez. Pilo’s will bring the Mexican street taco experience to the area, delighting patrons with signature dishes like “El Guapomole” a blend of fresh, minty and smooth avocado. Mr. Gonzalez is confidencent that the flavors of traditional Mexico City street tacos will be transported to his Brickell restaurant. “At Pilo’s you can expect good times and the best authentic street experience where any day is the best day for another flavor filled taco” said Mr. Gonzalez. 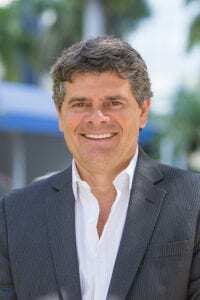 Since its inception, Fabio Faerman has managed the leasing of Millecento retail spaces, bringing successful new businesses to Brickell, and helping to shape the dining scene along South Miami Avenue. CEO of FA Commercial Advisors and the Commercial Division at Fortune International Realty. Also, a CCIM member, Commercial Real Estate Investment Advisor, Broker Associate, and for the last four consecutive years he has been awarded as the #1 Nationwide Top Broker of Fortune International Realty and more than 10 years as a platinum member.